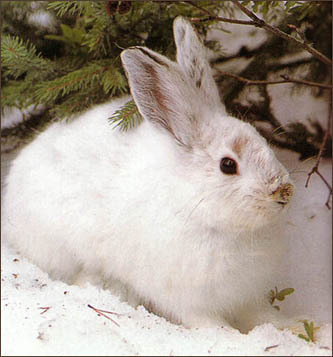 The snowshoe hare lives in the forest. They are found in the Northern U.S. mountain ranges through Canada and have been seen as far north as the Arctic Ocean. White furred in the winter, they shed their coats in summer and are a tan color.